I’m currently sat in a hostel in Edinburgh, just off the Royal Mile, listening as somebody plays the guitar at the other end of the lounge. The past few days have been a jam-packed touristy tour of Scotland’s capital, and I’m loving every minute of it. One thing I’ve particularly enjoyed has been a bookshop trail of the old town. Being here way too early for Edinburgh’s International Book Festival allowed us to visit all the best book shops before crowds of like-minded people do the same. 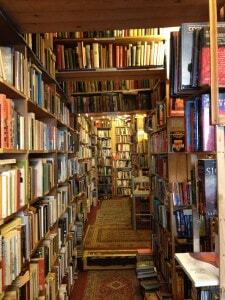 Far and away my favourite was a small shop called “Armchair Books“. 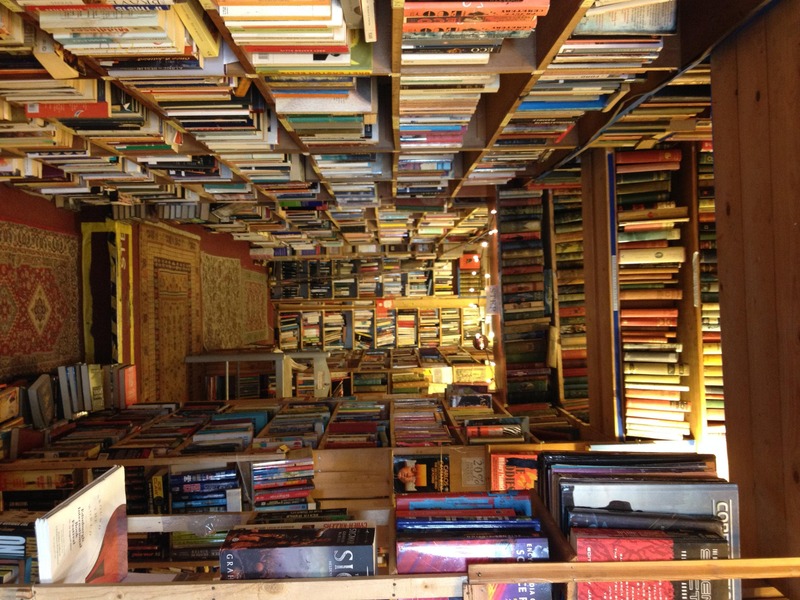 Despite its size, there were shelves stretching from the floor right to the ceiling, completely overflowing with books. And that’s only half of it! It was here that I found a book called “The Periodic Table” by Primo Levi. It’s not a particularly recent book (published in the late 80’s), but it is one of the books I read from my local library before I applied to study chemistry. These books gave me more of an insight into the field than my A-level classes did, and gave me something to talk about both in my personal statement and at interviews. Get started on your personal statement now. It may seem ridiculously early (unless you’re one of the unlucky ones with a UCAS deadline in October), but I promise you that it’s not. It will be the first draft of many, and getting it done before your work starts to pile up again will make it easier to focus on, and a lot less stressful for yourself. Read the appropriate books and journals. When I was in this position I read Chemistry Review magazines (which are made by the University of York aimed directly at A-level chemistry students), as well as the occasional New Scientist, and checked the BBC for science and environment updates. It will give you something to mention in your personal statement or at interview. Plus, reading round the subject you’re interested in is always fun! DON’T PANIC! You’ve done all you can now, and your results will be what they will be. Worrying frantically every day between now and the 13th of August will not change them. Think positively and focus on preparing for university. Read up on the courses you’ve accepted as your firm and insurance offers, and find the reading lists. Instead of waiting to buy all your textbooks during freshers week (which will cost you a lot more than you will be expecting), try to find them second-hand or as pdf files online, so you know exactly where to look when you accept your place. Finally if you’re in between years at university, there are still things you can be doing. I’m going to sound like a stuck record, but keep reading around the subject! Making sure that you keep up with the advances being made will help wherever you decide to go after you graduate. (And will sometimes put your lectures into real-world context!). Experience. Writing an impressive CV is going to be difficult if all you have are module marks. Trying to get some work experience in the area you want to work in will go a long way. Make sure you plan some fun things too! After all that work, you deserve it.